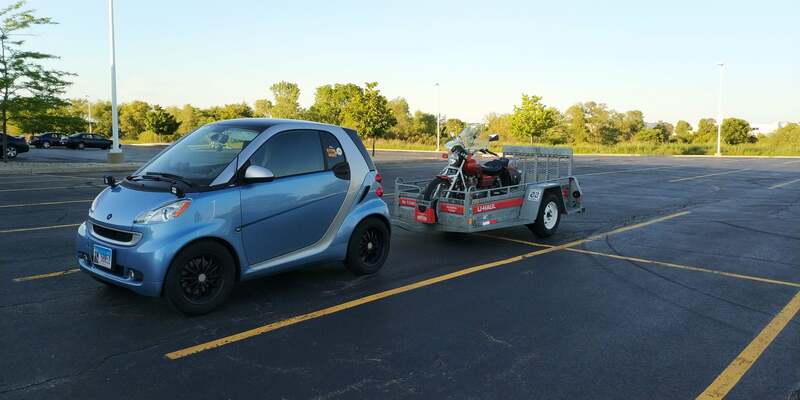 Smart Car Forums > Life Beyond smart > The Car Lounge > A New Addiction, Motorcycles! 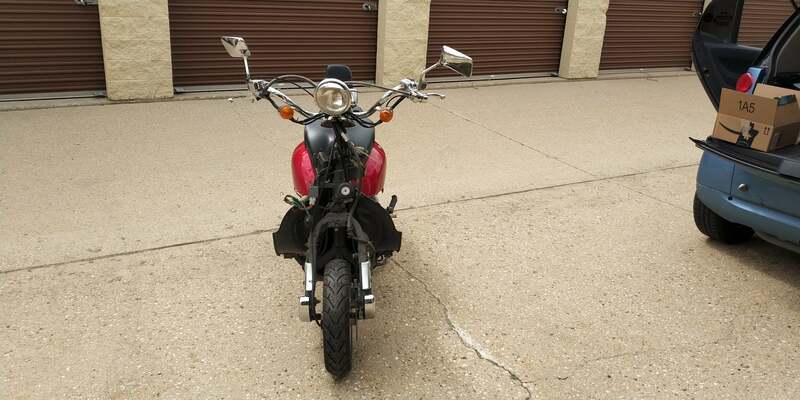 I've mentioned it in a couple threads, but I've never come fully out with it: I also ride motorcycles! This is something I've wanted to do for years, but elected not to do it because everyone told me that I would get hurt. I've realized that I won't be able to do many of my bucket list things if I let others scare me from doing them, so I signed up for the MSF and bought a Buell Blast a few days later! The week before my MSF course, a friend wanted to give me my first ever powered two wheeling experience on his Honda Elite 80. It was absolutely amazing. 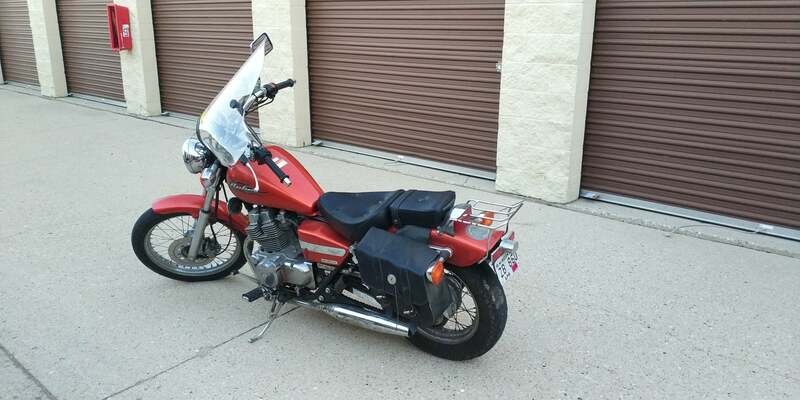 Admittedly, my first month on two wheels hasn't been the most smooth, with me getting my first bike impounded because some disconnection between what my MSF class was told and how a local police department felt about it. However, that has been resolved and the bike is back in my possession...can't say for the 30 some other motorcycles impounded that same night. And not even a full month into (legal) riding, I traded one of my cheap custom gaming computer builds for this beauty, a Honda Rebel! I want to get rid of the windscreen and get it new tyres, but outside of that, the bike is ready to rock! 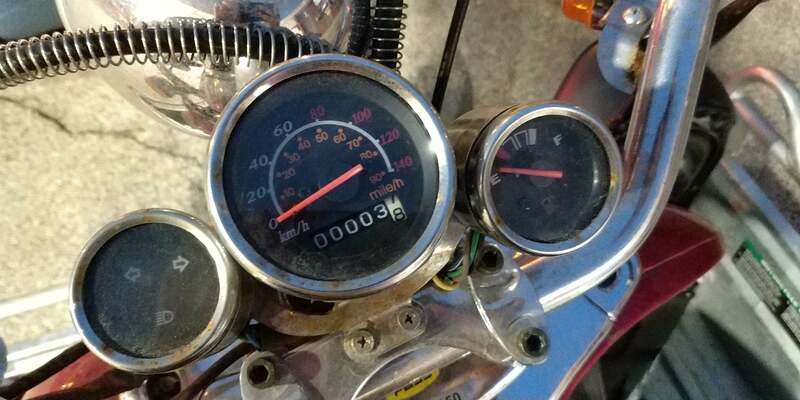 That night we rode the scooters, my friend suggested that we take part in the Gambler 500 Navigational Rally. 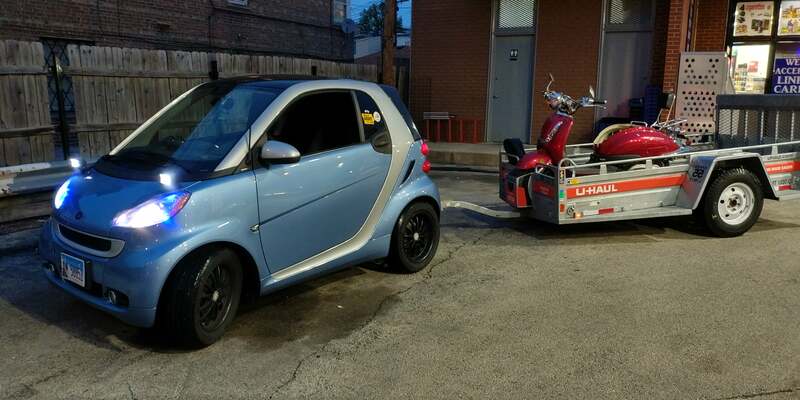 However, instead of the standard fare sub-$500 cheap cars, we'd do it on 150cc scooters! I couldn't pass on the idea. I do not have storage for another smart, however I do for many bikes! 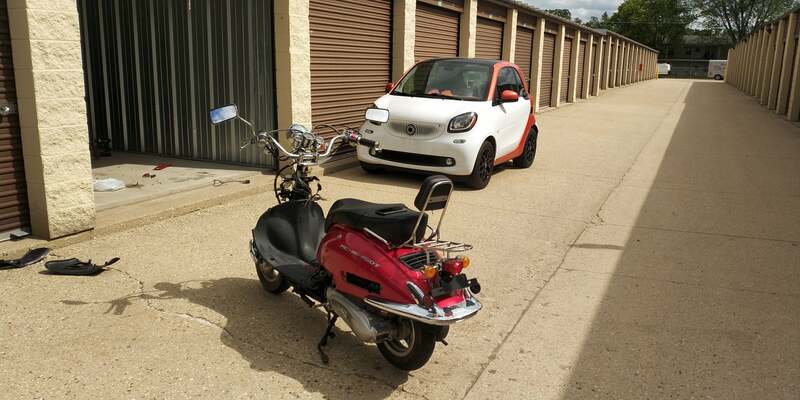 So not even 24 hours later, I hit Craigslist looking for 150cc scooters for $300 or less. 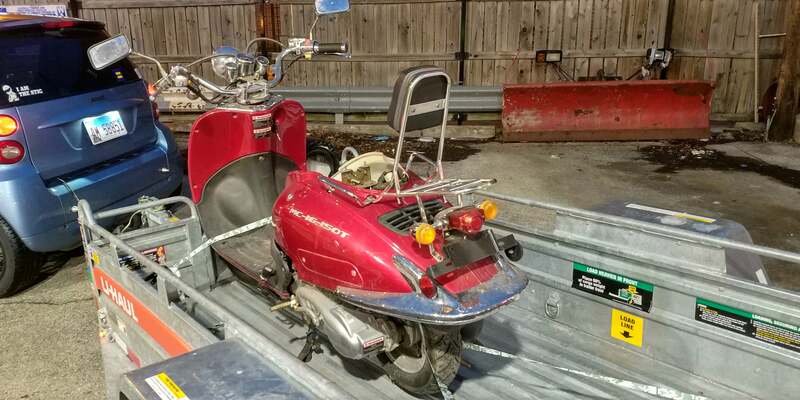 A couple days later, I found a generic Chinese 150cc scooter. Normally I would have passed on it because it didn't run, but this one had an interesting origin story: It's brand new. 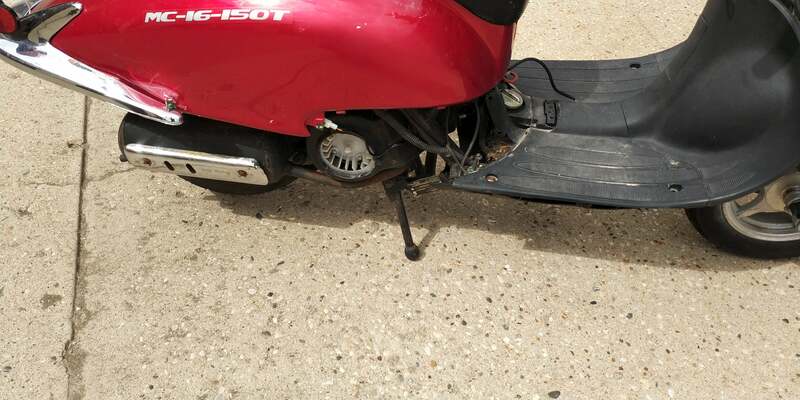 This 2008 Bashan scooter has only traveled 3 miles in 10 years...why? I arranged a meet with the seller and learned that he bought it ten years ago, rode it home, took out the carb, then let it sit there ever since. There's 10 year old petrol in the tank, ten year old oil in the engine, and the VIN plate is still wrapped in plastic. It's like I unearthed a poorly engineered time capsule. His original price was $500, but he dropped it down to $200 after I got cold feet on a project of unknown proportions. Ah what the heck, if I get this thing running, it would make one nice story! I then made my purse $200 lighter and signed my name on the certificate of origin...Oh, turns out he never titled it, so I'll be the first titled and registered owner of a 10 year old scooter, nice! Not long later, I had the bounty all secured on a trailer and ready to come home. 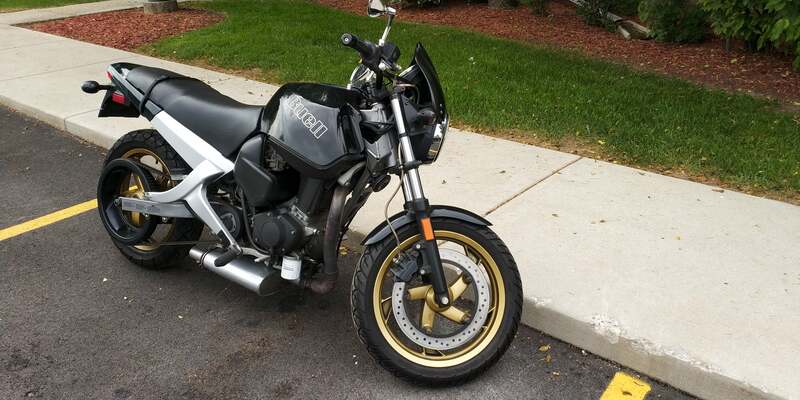 I decided I will strip it to the frame and make my own Honda Grom clone with a "Mad Max" theme. First thing's first, an AGM battery and some petrol. Well, everything works. It just doesn't start and it appears the starter motor doesn't work. I later also found out that the carb wasn't broken like I thought it was, it just wasn't there at all! After I bought a cheap carb from Amazon, I raced to my storage unit to rip the little thing apart and try to get it running. I was able to keep the floorboards! These will be useful for mounting spotlights for the Mad Max theme and keeping some of the mud from splashing on me. An hour of cursing later, I got the carb in. I also tore the grille off this fan thing because I got bored, or something. I'll get a pic of the carb when I go back for round two. I discovered a thick red lead in the scooter's engine area. I later found out that such is the lead for the starter motor. Whoops! That's why the starter motor didn't work. Gave it a lot of good cranks. Engine turns but doesn't start. Well, that's good. That means it can be revived. Next step will be to change the spark plug (if needed) then maybe see if I can convince fuel flow through the carb? I'll replace the oil once I at least get the engine to fire. I'm not entirely sure why it won't start, but more research shall be completed! I destroyed my storage unit ripping the scooter apart and I didn't even break a nail. Round 2 will see me removing the rear panels, the spark plug, and maybe seeing if I can get it to start with a shot of carb cleaner? I'm not sure. Once I get it started, I'll work on making it look better than the "wet dog" state it'll be in once all the panels are off. I'll also maybe want to see if I can drain the tank and change the engine oil. If any of you are good with working on bikes, I'm all ears! Staaaaay tuned and hopefully I'll see you Alabama (I may be on a trip for work, I'm trying to get out of it)! Good luck with the little critter. I have owned 3 different Chinese scooters - 50cc, 150cc and a 300cc. They are a bit different and quality control not always the best. My last was a Linhai and was also the best quality-wise. Many so-called “brands” of Chinese scooters aren’t the products of true factories but are just assembled from various sourced parts and are of poor design. These scoots and vintage cycles don’t like to sit for long periods of time. They perform best if they can be run regularly. From the scoots I moved on to vintage smaller cycles - a ‘79 and an ‘80 Yamaha 400cc with 6 speed transmissions. 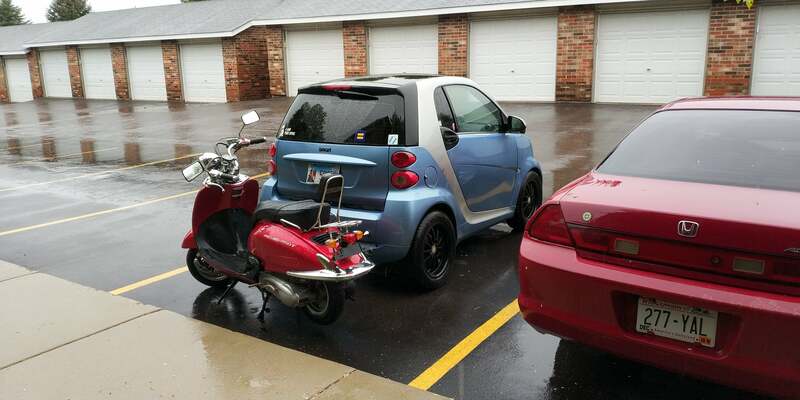 Lately, my smarts have been my scoot and cycle replacements. I hear you on that! Compared to my older Rebel and my still older Buell, the scooter almost feels like a toy. Everything is so...cheap. That's okay, I guess. It's also extremely simple. Worst case, I dump the scooter and get one that works. I have until September to get it running. If getting fuel to it becomes the problem (i.e. it starts with carb cleaner) replace the petcock (3 way vacuum fitting) and it should start. My Chinese gy6 clone sat for over a year and it turned out to be just a $15-$25 fix. My scooter was a survivor. It got brought home laying on its side in the back of a Mazda 6 hatchback and was with me for 4 years of abuse with plenty of 60mph high rev runs through flooding and pouring rain. I used it as my 20 mile commuter. Even with a shot stator, battery, and a countless number of other gremlins I was still driving it daily by kick starting it. I do want to get another scooter at some point, but this one will be in the 600+cc range. Would love a burgman 650 exec or similar. Miss Mercedes, Fuse 11 and OliverB like this. You need to find a source of non ethanol gas. Small engine just don't like the corn gas. The corn gas breaks down and plugs up the small passages in carbs, and corrodes fuel injectors. The supplements help a little with K100 being the best. There is no substitute for non ethanol gas. I think I found the source of my no start issue. While looking at videos about how to install the carb last night, I realized I put the other end of the vacuum T-junction into the intake end of the carb, not the intake manifold side. I'll see tomorrow! Fuse 11 and OliverB like this.